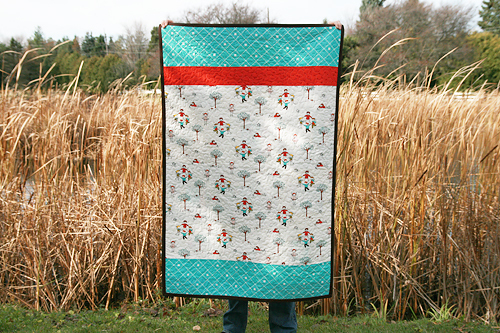 I'm so happy to share with you my latest quilt designed around Aneela Hoey's Little Apples fabric. 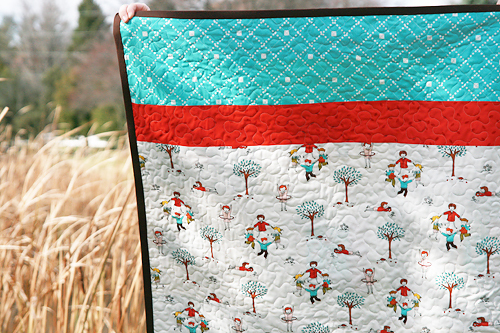 To me, this quilt just feels like Fall. 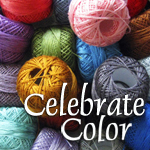 The colors of course - different shades of off-white and tan, the browns, greens, yellows and reds. The Little Apples fabric in particular reminds me of going back to school, with the children reading books and playing together...the sweaters and scarves... I just love Fall. 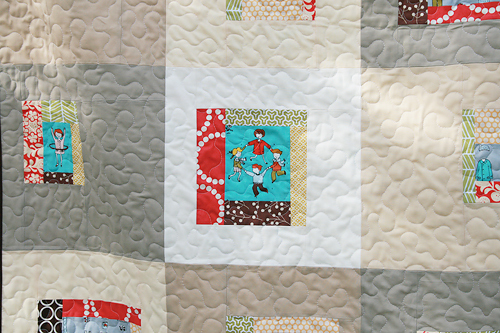 I started this quilt by fussy cutting bits and pieces from Aneela's fabric. 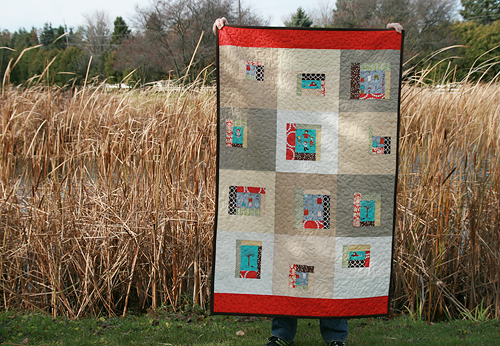 I built a log cabin around those pieces in various coordinating fabrics from my stash. Every square was a different size. I then sashed them (off centered) in different shades of off-white and tan. I added a strip of a red (a print from the Little Apples line) to the top and bottom. 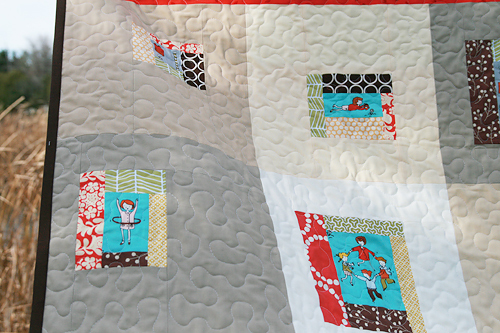 I really like the punch that gives the top of the quilt. The back is a combination of prints from Aneela's line. 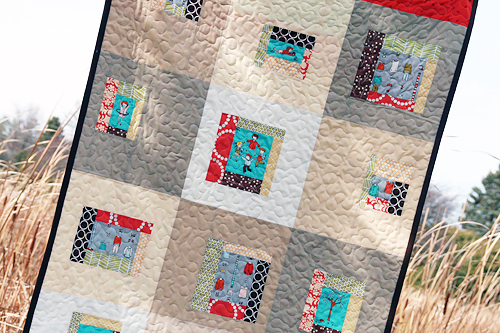 I quilted this in a meandering free motion style and bound it in a chocolate brown. The finished size is 36" x 56" (toddler bed sized) and it will be listed in my Etsy shop later today. 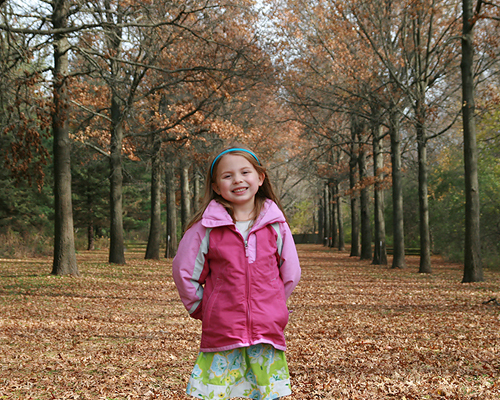 And, because she is just so cute, I have to include a picture of my little apple from the weekend.